Three things will happen in Larriland at the turn of the year. I will get a monthly salary again, I'll be starting my third season back on the bike and I will have to buy new shoes. My Gaerne Mythos are still in comparatively good condition but I cannot escape the fact that they have not been entirely comfortable at longer distances or in hot weather. Actually, in any weather really, now that I think about it. I bought them because folks reckoned that Gaerne were wider shoes on the whole and because they seemed like a great fit in the shop. Perhaps it was also because I got distracted by my encounter with that imbecile Sergei Lagutin, but I bought them without further reflection for better or worse. The irony is that I have another pair of Gaerne shoes, with an SPD fitting for CX, which have proved to be a lovely fit at any distance or weather, but they are way too clunky with a big fat sole for mud and running, so I still need a new pair of road shoes. This coming season, I intend to do my long overdue bike fit (which I have held off this year due to the expense) and at that point, I need to be in comfortable shoes. I need something even wider and more forgiving for the strange inequity between my two feet (the left one is significantly different to the right one). So ... wide, solid sole, light, high quality finish, easily available in Belgium and not white or outlandish clashing colours. Sidi - way too narrow. Even the so-called "mega" wide ones are pretty restrictive. Bont - decent fit but a bit ugly, look like boats on the feet, but worst of all horribly expensive if you want a choice of colour. Giro - hipster/ugly, shoelaces no way. Lake - reputedly great, wide fit. Have yet to find a store that sells them here. Mavic - wonderfully (perhaps a bit too) light, disappointing colour choices, rather narrow. Narrow feet here so I'm better looked after than the unfortunate wide-feeters. The only advice I can give is not cycling specific though. Anyone has even warn footwear too tight somewhere has regretted it so fit should always be the first priority. Blue for me though and those Bonts are terribly horrible to look at. I was so disappointed with my Gaerne shoes. 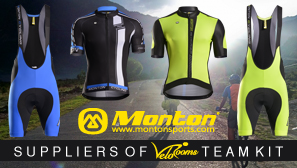 They look great and they fit great in the shop with a pair of typical cycling socks. However, my feet expanded after an hour or so of riding and, while the toe remained fine, the width was suddenly much too narrow. Worse still, each of my feet are slightly different sizes. This is often a problem when buying regular shoes and it explains why I only own a two or three pairs at a time and become very devoted to certain brands that I know will fit, even if the build quality isn't superb (Merrell). Meanwhile a pair of red hipster basketball shoes has also gone the same way as the Gaernes: a great fit in the store but awful when out on the dancefloor. But I digress, as I am wont to do. So I did get into Northwaves back when I tried them last time. I just didn't like what I perceived to be cheapy build quality. I may have to look again at that though and perhaps be prepared for them not to last as long as the Gaernes have. I've no idea if they're available in your area, but they may be worth checking out. This model is available for the heat-molded, custom fit option, which may be just be hocus-pocus, or it may be the perfect answer to your asymmetrical hooves. I was going to purchases these myself a few years back, but I had a very limited time window in which to do so, and my LBS was out of my size. I ended up going with the model just below these (that didn't offer the custom molding) and have been very happy with them. Their "wide" fit option has worked well for me. 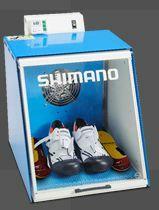 The shoes are heated in an oven then placed on your feet. 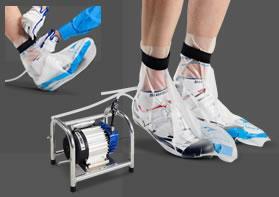 A vacuum bag is placed over the shoes causing the shoes to conform to the exact shape of your feet. If you go with this option though, you'll need share pics with us. I thought I would briefly revisit this thread since I finally replaced my beloved but way too tight Gaernes a couple of weeks ago. A visit to the store left me very underwhelmed. Hideous ugliness isn't usually the best criterion by which to reject shoes but the current trends make almost every model less than attractive, to me anyway. The Northwave shoes I eventually bought were a bit blingy for my tastes but, as JSG notes above, they were indeed the widest I could find. I knew instantly that the fit was right when I tried them on. There was plenty of wiggle room for the toes and the dial adjustment is really good for someone like me whose feet seem to double in size after half an hour in the saddle. A second dial would have been the icing on the cake because this single-dial model affects both the upper and the toe box when I would prefer to adjust only the latter. The top of the range model does have two dials but it was way more expensive and the only colours available were fifty shades of outlandish. Not the lightest even with a carbon sole and the quality is nothing like as good as the Gaernes but I'm not skinny enough for the weight to matter and they were also about half the price. First ride was a bit awkward though. I had positioned the new cleats too far forward so I was toeing my pedal strokes and I eventually got pins and needles. The other issue I had was stranger: the upper of the shoe dug into my foot just to the right of the tongue. This worried me a bit, because it actually hurt in a low level sort of way. Second ride, which happened after I'd improved my cleat positioning, was much more comfortable. The upper still digs, of course, but I hope I'll get used to that because it's not like I can cut myself a piece out of the shoes. And if all else fails, I'll be buying a pair of Hanseenos. Is this really a thing?!? !